Both primary and secondary schools across Ireland will close on 24 November after teachers from the three primary teachers’ unions voted in favor of industrial action in protest over potential public-sector pay cuts in the upcoming December Budget. 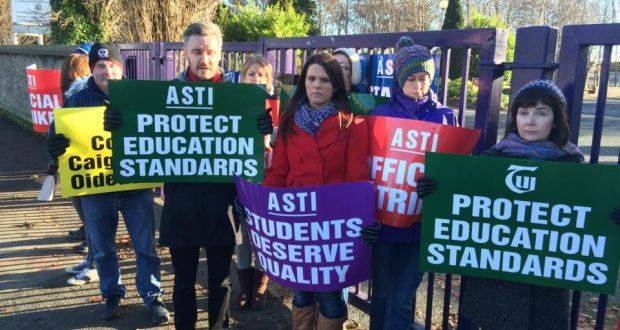 The result was announced by the ASTI, INTO, and TUI trade unions shortly before lunchtime today, and the news was not well received by teachers. Many are looking for other options, including expanding their own education, in order to help make ends meet in their own homes, as well as being a more valued asset in the community. This includes seeking out teachers learning center courses as well as finishing advanced degrees at local universities. The unions said in a joint statement that their members are taking industrial action as they have “never before faced such a serious threat to their pay, pensions and terms and conditions.” The treatment of the teachers, who education the next generation of the working class in Ireland can be described as incomprehensible. “Teachers, lecturers and other public-sector workers and faculty are being treated poorly, to say the least. This treatment by the government makes the teachers feel as if they are somehow responsible for causing the crisis in the public finances division which is clearly out of their control. Instead of taking personal responsibility, they are punishing one of the greatest resources we have in Ireland. Our teachers. “The teachers are angry at how their sector has already suffered severe cutbacks, both regarding teacher and lecturer job losses as well as financial support for schools and colleges,” the statement read. “They are also hurt by their supposed vilification as public servants by certain commentators,” the unions said. Should teachers strike on 24 November, it will be the first time in almost a quarter of a century that the country’s 65,000 primary and secondary teachers will have withdrawn their services from Irish schools. While true that the teachers will be significantly affected financially by this move, we must be aware that it is the children who will be ultimately hurt by this move. We can only hope for a quick and fair resolution to this matter.